Arnaldo Forlani (Italian pronunciation: [arˈnaldo forˈlaːni]; born 8 December 1925) is an Italian politician. 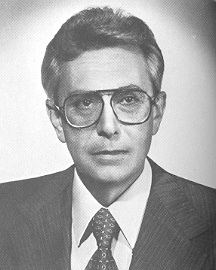 He served as the 44th Prime Minister of Italy from 18 October 1980 to 28 June 1981. He was previously a member of the right-wing of the Italian Christian Democratic Party. Arnaldo Forlani Facts for Kids. Kiddle Encyclopedia.